We will never get tired of a clean Air Force 1. It's almost a must to pay tribute to a sneaker that helped create the very culture we are passionate about today. The Nike Air Force 1 has taken on many faces over the years, but still provides unlimited versatility in style. This next Air Force 1 iteration is all about showing love to your favorite NBA teams. Inspired by team jerseys, this AF-1 '07 LV8 Sport NBA adds some bright pops of color and cool new details. We found this cutie in the unisex sizing, but you already know we can rock some men's gear just fine. 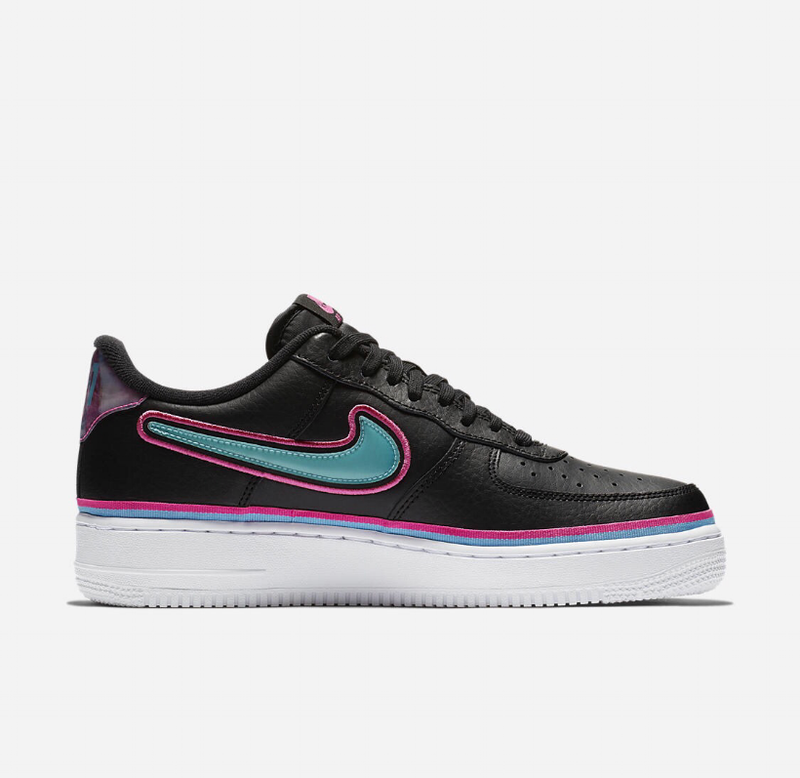 This Nike Air Force 1 '07 LV8 Sport NBA sneaker features a premium upper dressed in black tumbled leather. 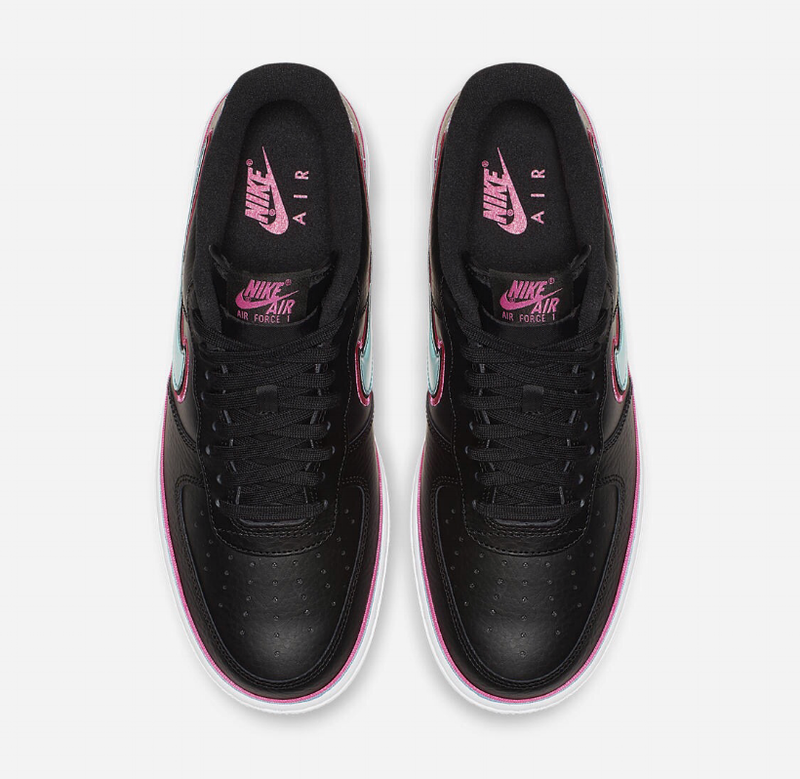 Laser Fuschia and Blue Gale detailing hits the Swoosh, heel, and tongue. Color shifts on the Swoosh as you move around NBA co-branding hits the heel. The look comes together on a crisp, white midsole. Are you feeling the color contrasts on this Air Force 1? You can SHOP THE SNEAKS right now for $100 which is a great price point nowadays. Make sure to tag us on Instagram, so we can see how you rock your AF1s. Which ones are on your wishlist? One time for the 90s. New Colorways. Guaranteed to sell out.